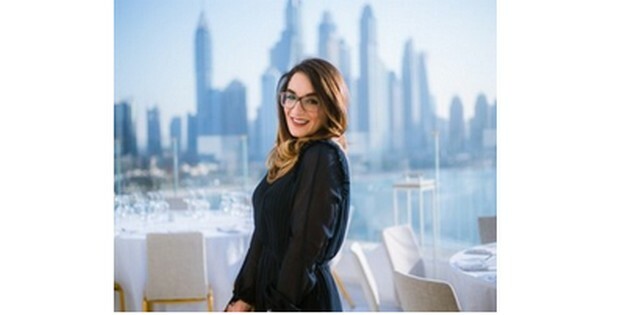 FIVE Palm Jumeirah is the epitome of style and sophistication. 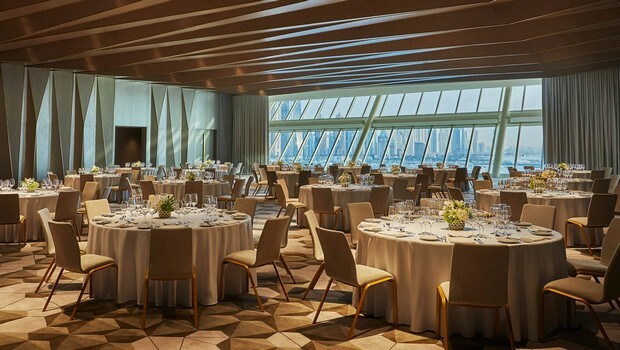 The venue has an amazing selection of unique and beautifully dressed event spaces, both inside and out, but we are just loving their Vista Ballroom. 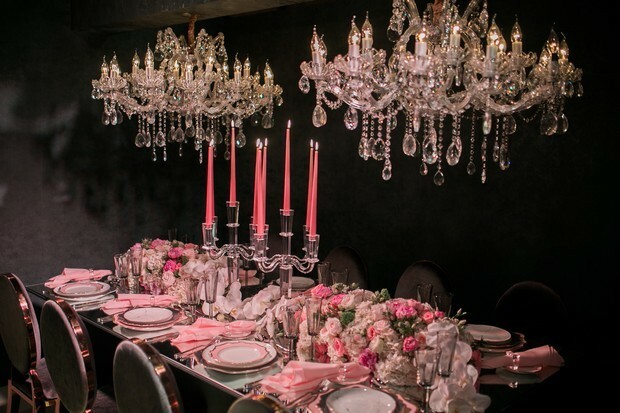 The Ballroom has a modern and super-elegant design; a perfect backdrop to create a truly magical occasion. 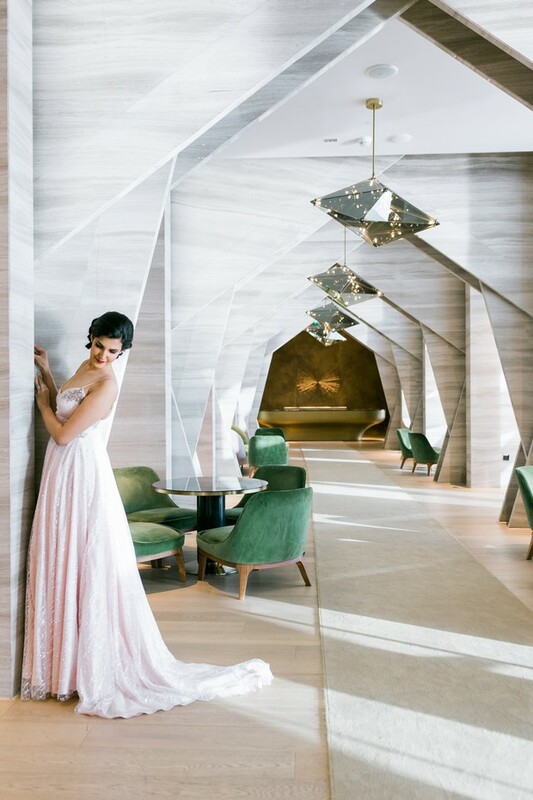 It has floor to ceiling windows and, being on the 13th floor, stunning views of the Dubai Marina skyline and the Arabian Gulf. It’s out of this world! 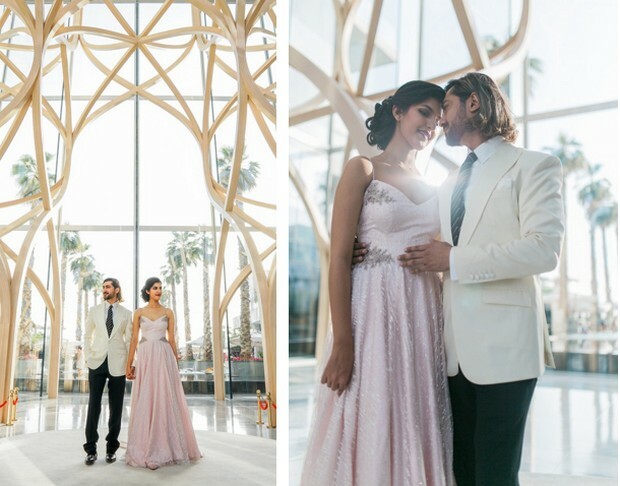 So, whether you are planning a daytime wedding or lavish evening affair, FIVE Palm Jumeirah is the perfect place to say “I do”. 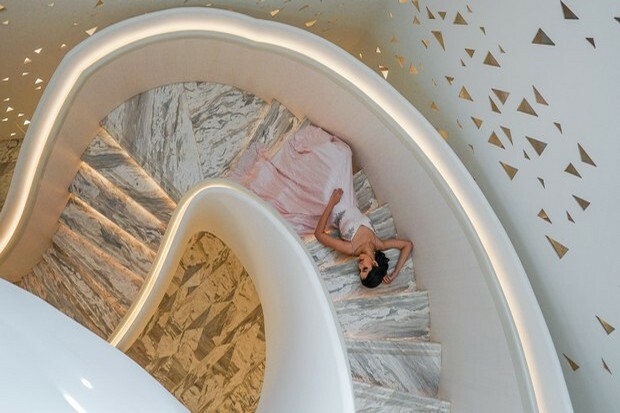 We caught up with the team after a recent bridal shoot. 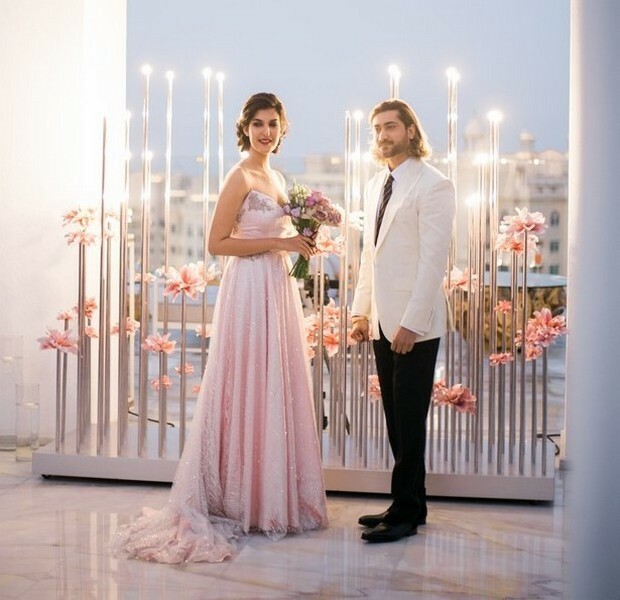 Let these images spark your imagination and inspire your own wedding. 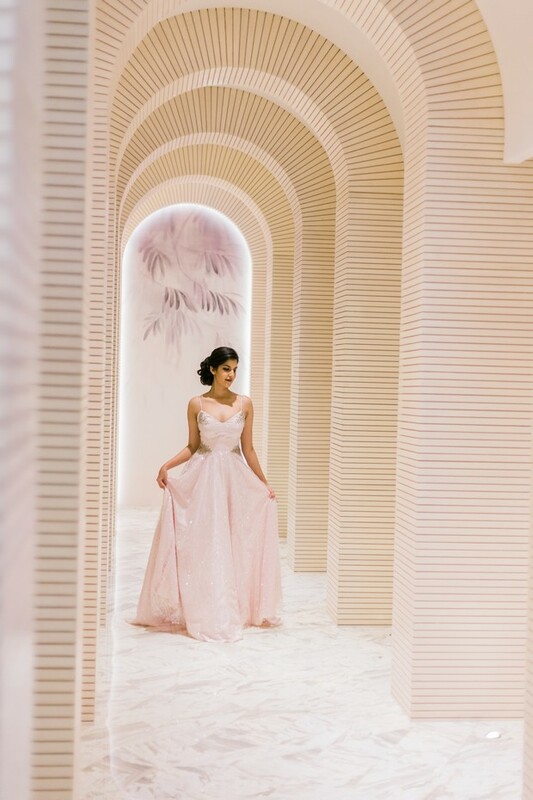 Fete Events created an amazing array of different table settings, all framed by the stunning FIVE Palm Jumeirah ballroom. 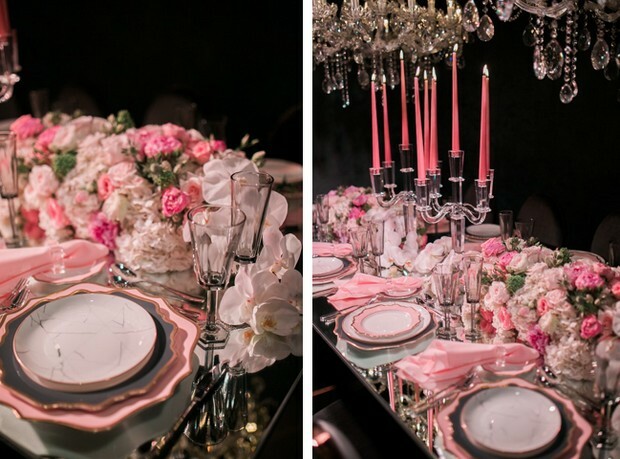 The sumptuous styling is perfection. 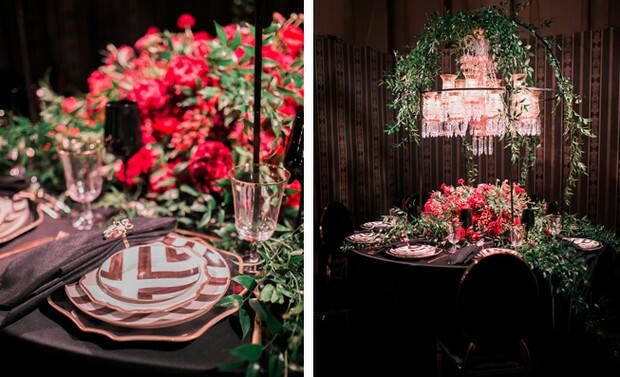 Delicate pink florals contrast against mirrored surfaces, wild greenery adorns dramatic crystal chandeliers, deep scarlet flowers are offset by luxurious black table linens…truly inspiration for all! 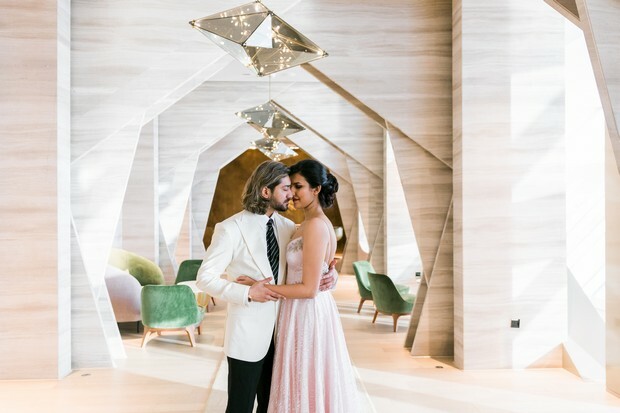 To find out more about FIVE Palm Jumeirah pop over to their profile page now or call their “wedding genie” Grazia on (+971) 58 880 0415. 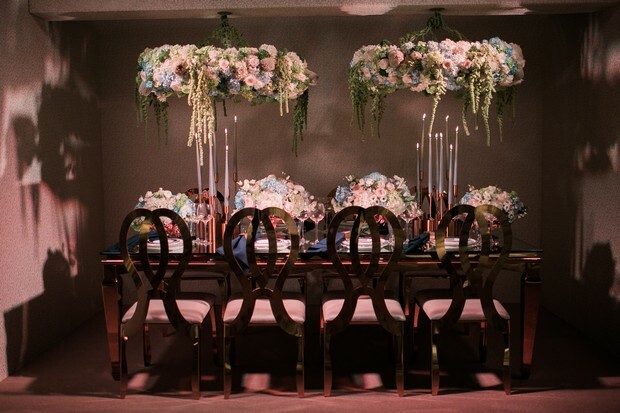 Grazia has more than a decade of experience in event and wedding planning and will skillfully guide you through the entire process. 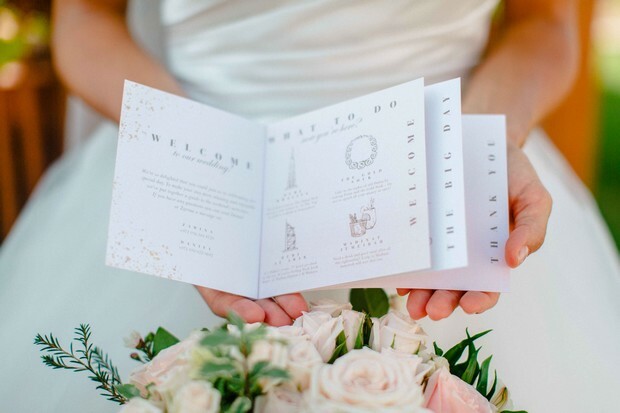 She is truly focused on making your day one of a kind and brings a perfect balance of creativity, imagination and organisation. She’s a romantic at heart and can’t wait to hear from you!